Kalipso Mobile Application Generator - CipherLab Co., Ltd.
Kalipso is a powerful application generator designed for Windows® operating system mobile computers. Simple and intuitive to operate, users can create applications with drag and drop, either online or offline. Free demo programs of inventory check, order entry and proof-of-delivery are available upon the purchase of CipherLab Windows-based mobile devices. 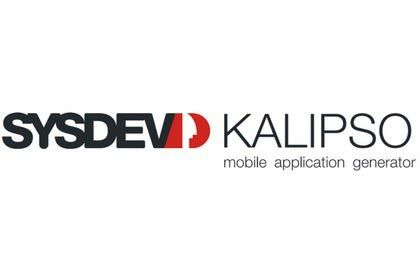 Wondering if the Kalipso Studio - mobile app generator is for you and your company? Watch this Video! Control your mobile device with the actions of memory control, battery management, screen, registry read and write, keyboard, sounds, radio management and power, etc. For more information about Kalipso Mobile Application Generator, please see documents below.